In Dr. John Gottman’s apartment lab at the University of Washington, he studies how people interact with one another under everyday circumstances. He has discovered that “bids for connection” happen at a very high rate between partners. For example, happy couples “bid” 100 times in ten minutes. What makes the bids so important? How those bids are made and responded to influences how well that relationship is going to fare over time. This man and woman appear connected at this moment. What is a bid for connection? As Dr. Gottman explains in his new book, The Relationship Cure, bids can be verbal or non-verbal. They can be highly physical or come totally from the intellect. They can be sexual or nonsexual. The key is that a bid for connection is an attempt to create connection between two people. Its function is to keep the relationship going forward and in a positive direction. Bids are the fundamental element of emotional connection. The brief quiz below helps you to assess your style of bidding. More in depth tests are available in The Relationship Cure. To take this test, think of a person who is important to you. Complete each item by indicating how much you agree or disagree with the statement. I sometimes get ignored when I need attention the most. This person usually doesn’t have a clue as to what I am feeling. I often have difficulty getting a meaningful conversation going with this person. I get mad when I don’t get the attention I need from this person. I often find myself becoming irritable with this person. I often feel irritated that this person isn’t on my side. I have trouble getting this person to listen to me. I find it difficult to get this person to open up to me. I have trouble getting this person to talk to me. Scores below 8 mean that you are direct in your relationship. This is great news for your relationship, because you have the ability to state clearly what you need from this person. If your score is 8 or higher, you may be too reticent in bidding. The other person in your relationship may feel as if they have to be a mind reader to understand what you need. Is this a bid for connection by a woman of the Middle Ages, captured in a tapestry? If you and your partner need help with your connection, consider couples or marital therapy. Scores below 8 mean that you are not overly forceful in expressing what you need from this person. Your relationship benefits from this quality of yours because it’s easier for the other person to hear and understand what you need. If your score is 8 or higher, you may be expressing so much anger in your bidding that you are turning this person away. Maybe this is because of past frustrations, or maybe it is the way your personality is. If your score is below 8, this means you have a high level of trust in your relationship. If your score is 8 or higher, this reflects a problem with the level of trust in your relationship. You may need to do more to win this person’s trust. Some people accomplish this by concentrating more on responding to the other person’s bids, rather than trying to get the other person to respond to you. To learn more about bids for connection or about the best ways to respond to bids, you can take quizzes and try exercises in The Relationship Cure by John Gottman and Joan DeClaire. Bids for connection are a sign of strength. The successful relationship underlying made and answered bids for connection takes effort and skills that not all of us have had the chance to learn, yet: skills like communication, conflict resolution and maintaining intimacy. 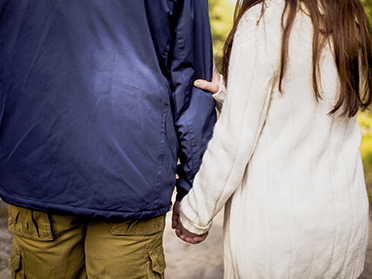 To strengthen your relationship with the help of a couples therapist who understands the psychology and dynamics of successful relationships, or to address personal issues that might get in the way of your relationships, contact us at the Montreal Therapy Centre for online or in-person couples counselling, family therapy or individual psychotherapy.